When I was little, Sunday afternoons always seemed to feature a film in black and white about the Second World War playing in the background because my dad was pretty partial to watching (read: falling asleep in front of) them. To me, most of these films were more or less just background noise, except for the odd few films that featured brave and glamorous French characters who portrayed members of the French Resistance which piqued my interest. 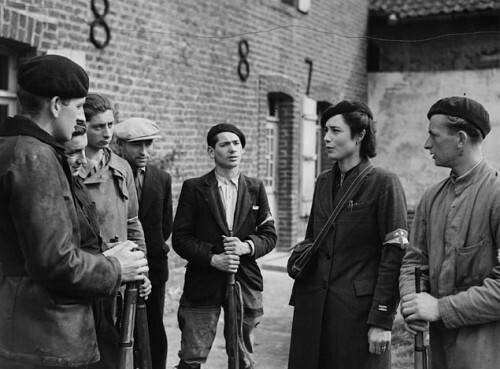 For those who may presently be in the dark about the subject, the French Resistance is the collective name used for the small groups of French men and women who fought against the Nazi German occupation of France and the collaborating Vichy Regime during the Second World War. 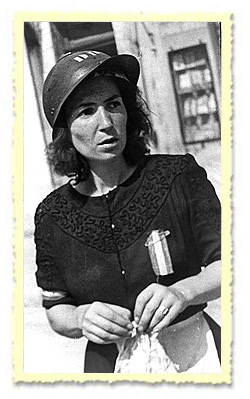 The French Resistance participated in a variety of activities that included running a clandestine press, providing intelligence to the Allied forces, and even sabotage and guerrilla warfare tactics. The risks that they ran from their actions being found out were immense. Although sources suggest that the Resistance movements were generally anti-feminist with many male members discouraging active female involvement, many women did participate in both supportive and active roles. One such woman was Lucie Aubrac who, alongside her husband, fought in the resistance in Lyon and helped run the underground newspaper, Libération. Aubrac, pictured below, became the subject of an eponymous biopic in 1997. Ultimately, the films I was exposed to were the product of a post-war society in the UK which relied upon and glamorised an image of French covert heroism. However, there is no doubt that these people and their undertakings occurred, and somewhere between the seductive screen version and gritty reality I find a great source inspiration. So, how to translate this inspiration into a physical and wearable manifestation for today? In terms of colour palette, I feel navy blue, black, beige, cream and red (but not a bright cherry hue, something more subtle with more depth) would translate the look best. Arguably stereotypical, a form of trench coat would be a must, but perhaps the Lady Grey coat in beige twill would form an interesting alternative, creating a juxtaposition between glamour and functionality. Other understated, tidy, wearable but sleek pieces could be created from the Rooibos dress or the Sencha blouse tucked into high waisted wide-legged trousers or a 40’s style A-line skirt. Accessories could include a beret or other neat vintage hat, a tidy leather handbag and neck scarves which are a must. Sally Jane, who I think is a master of French Resistance chic, shows us in the image above how effective the addition of these accessories can be. Or what about a fake newspaper clutch bag like the one below? Perfect for transporting secret information whilst avoiding detection! Is there anything you would add if trying to create a French Resistance infused look? What are your favorite films for inspiration? Ugh. Way to trivialize heroism. I have to admit that my initial gut reaction was not far from yours. But then I thought about why that is. Certainly fashion is influenced by militaristic elements, and film often glorifies the glamour of these types of brave women. I could name a dozen films that do so (Inglorious Basterds most recently, though the character is fictional). One way to look at it is that this kind of glamourization trivializes the women’s lives by reducing them to appearances, which can also be said of just about any public female figure. The other way to look at it is that these women represent a sort of androgyny that is appealing to many of us: they were taking on traditionally male roles as heroes, while masking their subversiveness in femininity. The “war paint” scene in Inglorious Basterds, for example, makes this really obvious. So I don’t think it’s wrong to point it out, discuss it, and even reinterpret the aesthetic that’s been portrayed in film, as Zoe does. nothing is trivial, least of all the construction of identity; the performance of self. I am very suspicious of anyone who resorts so quickly to the word ‘heroism’ in a discussion. Don’t be so quick to assume that the people you call heroes would agree with you or even like you. You find it all too easy to use them to your own end, as if they belong to you. They don’t. History belongs to all of us. I’m sorry you feel that way, Nobody. I genuinely feel that you cannot trivialise something by being visually inspired by it. In fact, if anything, I think it confirms its significance if someone is still thinking about and reacting to it some 70-odd years later. From where we stand in the 21st century, we have such a wealth of social history to look into. I think it is a pointless task to try and list what should and shouldn’t be allowed to be inspirational to a person. Those images of the French women are wonderful! 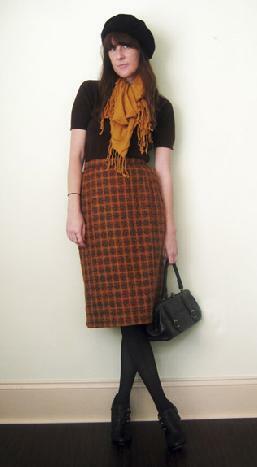 In my humble opinion, consciously choosing to dress in a style inspired by someone who inspires you is a way to honor their contributions and possibly even infuse a little of the qualities you admire about them into your own daily actions (kind of like a variation on the “dress for the job you want” philosohpy). The pictures are lovely, and I don’t have anything against taking inspiration from old images or particular groups of people. 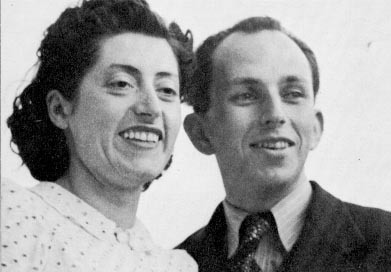 But I don’t understand how this is French Resistance *style* – the very fact that they were working underground means that they looked like everyone else! 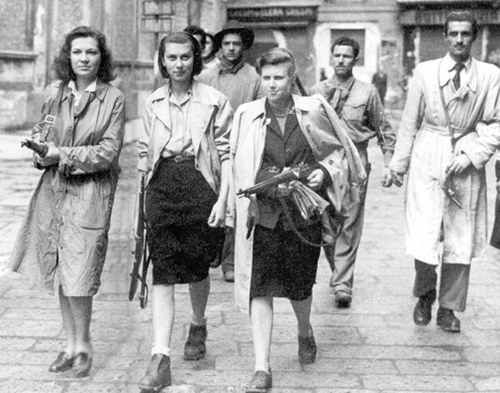 What about this style makes it French Resistance and not just French WWII? Dressing in 40s duds and then just sticking a beret on top and saying that makes it “Resistance” *does* seem a little trivial, in my opinion. It does, thank you! I guess I just needed you to spell it out for me. Sorry, I hope my above comment doesn’t seem harsh! nobody is right — PROPER women emulate multimillionaire anorexics, surgically augmented pop singers and the coked-up teenage children of former rock stars. I have to admit that I’m a little uncomfortable with this post too. I know that inspiration comes from the most unlikely places, but I just can’t shake the feeling that this is somehow…wrong. If you want to emulate these women, how about adopting their bravery or passion or rebellion rather than their cute jackets? This outfit is really nice !